After the Crucifixion and the Resurrection Jesus appeared to His disciples on many occasions. 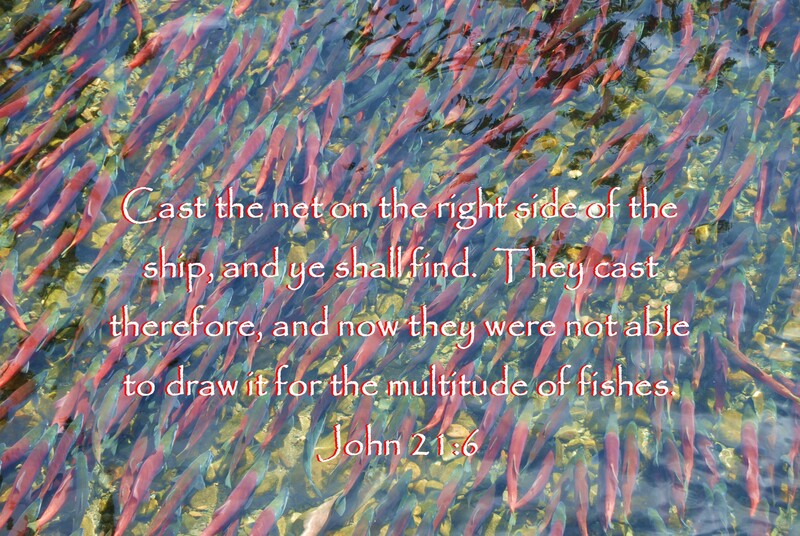 One of my favorites is the story of the multitude of fish. The disciples went out fishing in a boat, they fished all night and they had nothing. In the morning they were close to shore and they heard a man yelling at them. They didn’t know it was Jesus, but the man told them to drop their nets on the right side of the boat and they would find fish. So they did, and their nets were so full they could hardly lift them. They got out of the boat as it was shallow where they were and they drug their nets to shore. They looked up and saw that the man was Jesus. He had built a fire,and had bread. He said let’s have breakfast together. So they cook some of the many fish and dined with Jesus. How wonderful that was. Now that Is a true warm fuzzy! I’m sure the disciples were so happy to see Him and to sup with Him by a warm fire. The Lord wanted to bless them, and He was very precise. He told them the right side of the boat. Lets not miss our opportunity’s by not listening to the Lord and precisely following Him. I got the opportunity to see a multitude of fish as I came upon salmon spawning. I was reminded of this wonderful event in the Bible. I remember when you took this great picture!! We had such a great time with you and dad. 🙂 Love you mom!! !